Pfc. Clarence A. Fondren, son of Mr. and Mrs. John W. Fondren, attended Frederick School. 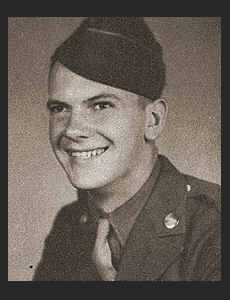 Entered Army in July, 1943, trained in Ft. Knox, Ky., Ft. Meade, Md. ; served in France, England, Germany and Belgium. Awarded EAME Ribbon with four Battle Stars.